Two weeks ago I ran my very first 10K race: the Fleet Feet Chicago’s Women’s 5K and &10K presented by New Balance. Obviously with two half marathons under my belt, I’m not stranger to 6.2 miles, but this was my first official 10K race. I was actually supposed to run this race last year as part of my half marathon training, but due to break-up induced slacking, I ended up bailing on last year’s race. 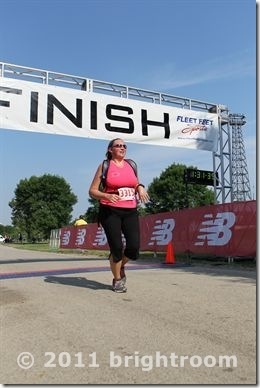 While being a slacker was my primary skipping the race last year, heat was another factor. Boy, I should have sucked it up and run the race last year because the heat this year was miserable. I was a soaking wet, sweaty mess by the end of the race, but I had a great time! 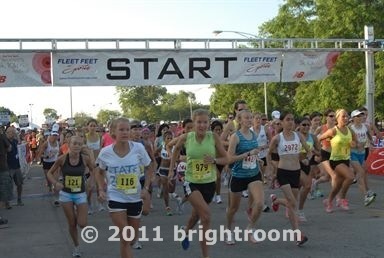 The more races I run, the more I realize just how much I really hate big races. This definitely made me a bit…nervous? hesitant? relucant? I wasn’t entirely sure I was going to enjoy myself. However, as far as big races go, this one was really enjoyable! 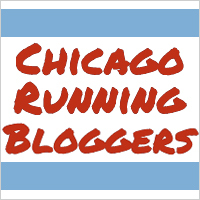 The race took place at Montrose Harbor which is a pretty common race site in Chicago. I was a little concerned the course wouldn’t be big enough for the number of people running, but for the most part, it was spacious enough to accommodate the number of runners. There was plenty of water and Gatorade available during the race, and even more popsicles at the end! My friend Jenn and I planned to run the race together. I definitely run faster than her, but with the heat, it was nice to have someone to slow me down a bit! Truthfully, 90% of the time, I would rather run slower with a friend than run faster alone. We didn’t really stick around for the post-race festivities since it was so hot, and we were both sweaty messes, but it seemed awesome. There was a TRX setup I wanted to try, but the overwhelming urge to get home and shower won out over my desire to try TRX. My official finishing time was 1:31:13. This is definitely slower than I would have finished if a) it hadn’t been a gazillion degrees outside and b) I had been running alone, but I’m perfectly content with that time since I was never planning to run for time in this race. Plus, I look forward to setting a PR at my next 10K race!